Blink and you’ll miss Friday’s Cup Series qualifying session at Richmond. OK, that’s an exaggeration. But it’s not an exaggeration when we say that NASCAR has shortened the length of Friday’s scheduled Cup Series qualifying session. Each of the three qualifying rounds will be five minutes. Add in a five-minute break between each round and qualifying is set to last less than a half hour. The change makes for a 10-minute reduction in qualifying length. The first two rounds were originally scheduled to be 10 minutes each. What’s with the change? Well, in a letter to teams NASCAR said the changes were being made with the idea of putting on a better show for television. Really. 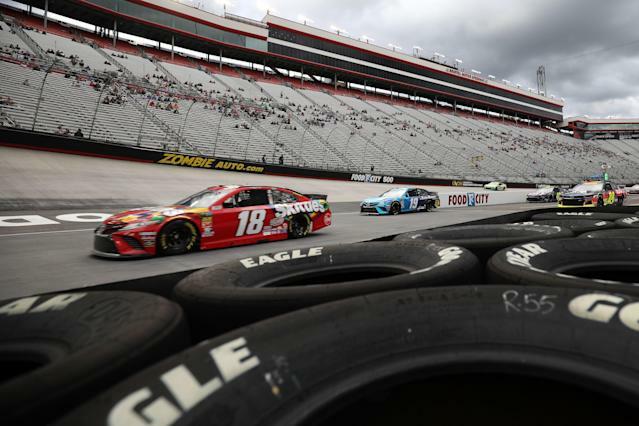 NASCAR’s insistence on making Cup Series qualifying an entertainment spectacle has led to changes and consternation throughout the early stages of the 2019 season. This is at least the third significant change that NASCAR has made to qualifying procedures after the institution of a pit-road speed limit and other pit road rules and the mandate that drivers must post a lap in each qualifying round they participate in. The latter change came when none of the 12 drivers in the final round of qualifying at Auto Club Speedway posted a lap because they all waited too long. The drafting games that drivers have played at bigger tracks in 2019 because of NASCAR’s new rules were easily foreseeable because the games had happened in the Xfinity and Truck Series. Yet, NASCAR decided to proceed with qualifying that included drafting as a big component. Drafting isn’t an issue at a short track like Richmond, so it is a bit curious why NASCAR would make a move to shorten qualifying at a track where the drafting games don’t exist. Though, as longtime observers know, there really is no such thing as permanent change in NASCAR. There always are more changes coming soon.